Let’s face it: The investment options available to ordinary investors right now aren’t exactly exciting. But, as investors have lost confidence in traditional instruments like stocks and bonds, the rich have flocked to the world of rare collectibles. 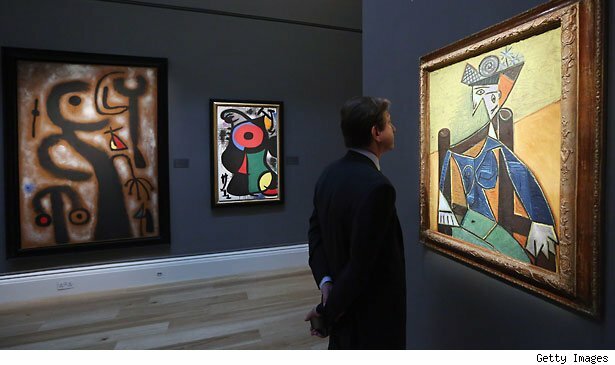 Of course, there aren’t many people who can afford to put down $100 million for a fine piece of art. But soon, you won’t have to be a billionaire to be able to afford a stab at claiming your share of profits from rising prices on art and other rarities. Wall Street has been catering to rich investors with money to burn and a desire to diversify their portfolios. As an article in the New York Post recently reported, a variety of specialty hedge funds have come out in recent years, allowing rich investors to try to earn profits in everything from works of art to wine to vintage automobiles. And with wine funds in particular seeing returns of 30% and up, demand to get in on the action has never been hotter. But hedge funds require high net worth and huge initial investments. That’s enough to lock out most would-be investors. One company wants to change that, however. Within the next year to 18 months, the Liquid Rarity Exchange plans to offer what it’s calling Liquid Rarity Funds, which will focus on rare collectibles that have good track records of offering high and sustainable returns. The list of assets that the company may eventually offer is quite extensive, going beyond art and wine. You’ll be able to invest in autographs, rare books, and even intellectual property rights to films, photographs, and music. Liquid Rarity Exchange still needs to deal with some challenges. Public funds registered with the SEC will need to be able to value their assets on a regular basis. Yet establishing ongoing valuations for illiquid collectibles (like works of art) to the SEC’s satisfaction may prove difficult. The benefit to investors, though, will be that SEC oversight will give them valuable information about how the funds operate and what they hold. The resulting transparency will take away some of the dangers that analysts have pointed out about hedge funds specializing in collectibles. So if you’ve ever wanted to own a Picasso, you may soon have your chance. You won’t get to hang it in your living room, but if the art market holds up, your wallet could enjoy some of the benefits. Motley Fool contributor Dan Caplinger is a huge fan of Peter Max lithographs. You can follow him on Twitter @DanCaplinger.